Remove all limits to experience new levels of mental awareness & perception! 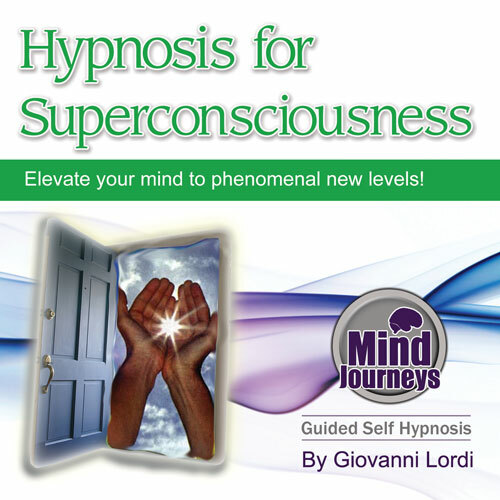 This hypnosis session is Giovanni's personal favorite of all the recordings he has made. He came up with the idea after watching the movie 'Limitless', & wondered how far he can really push the boundaries of the mind to experience a new level of consciousness. After some researching he came across the concept of 'super-consciousness', an idea rooted in spiritual tradition through the ancient Buddhist teachers, yet essentially an ideology which summed up exactly what this recording is all about. Taking all the major techniques & ideas from this concept, Giovanni incorporated them into a powerful hypnotic script, to help fast-track the application of achieving this state of mind. This recording will help open up your own personal world, enhancing learning abilities, spiritual connection, accessing your higher self, communicating, intuition, visualizing, & creativity. It will help you access & begin to use more parts of your brain by training your mind to remove all limitations & the concept of 'impossible'. The spoken hypnotherapy is accompanied by a very wide spectrum of binaural beat frequencies which progress form a 6Hz theta all the way down to 2Hz Delta. This encompasses a wide spectrum of consciousness, & will help you explore further into all the different levels within. However, please take it easy for the first few times you listen as it will take you deeper then the other recordings by Giovanni.